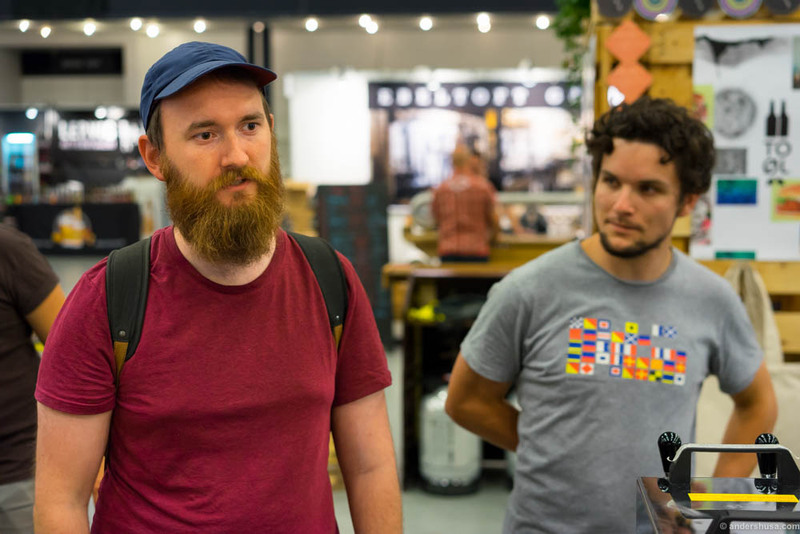 Tore Gynther and Tobias Emil Jensen started producing commercial brews under the name To Øl in 2010 after many years of home brewing. Just like their good friend and tutor Mikkel Borg Bjergsø – yes, the now world famous Mikkeller – they didn’t own a brewery, but rather borrowed the free capacity of other beerhouses. Tapperiet Brus marks their first step from a gypsy brewery to having their own production. The brewpub serves beers from To Øl and Mikkeller in addition to homemade taptails – that’s cocktails served on tap. 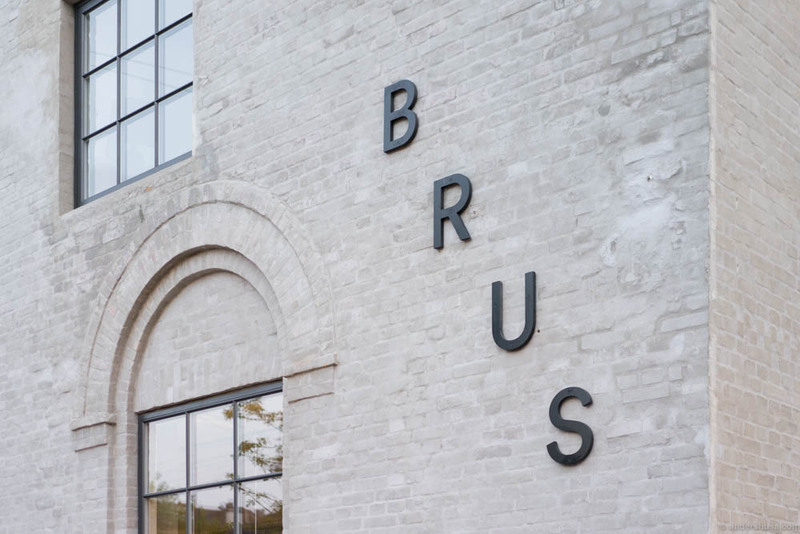 The latest exciting news is that To Øl has teamed up with Norwegian badass beer sommelier Linda Merete Skogholt and will open a craft beer bar called BRUS in Oslo as well! We met up with our good friend André Blomberg-Nygård earlier this summer to check out the atmosphere at Tapperiet Brus & Restaurant Spontan. The evening started at Sidecar & Mao Bao with a few steambuns and cocktails, before we headed to Guldbergsgade and our dinner reservation at restaurant Spontan. 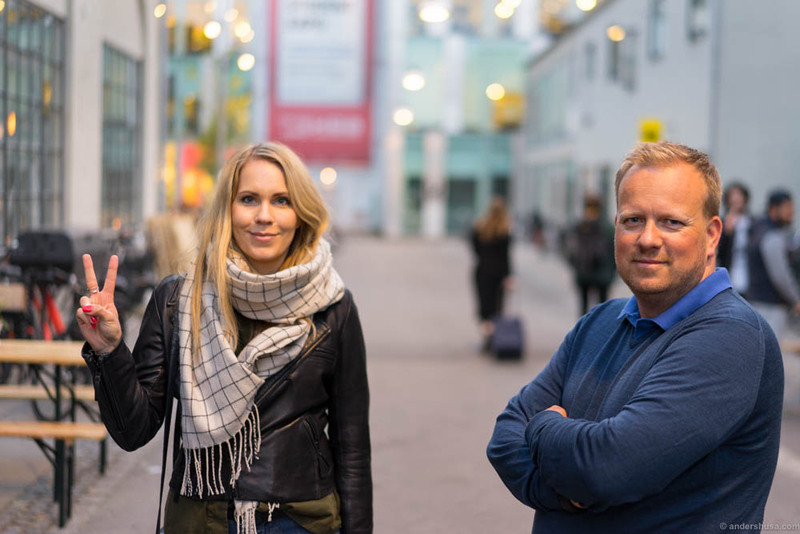 Tore and Tobias have teamed up with bartender Morten Bruun to run the brewpub, and no other than Christian Gadient – the former head chef at one Michelin-starred restaurant Marchal at D’Angleterre – in charge of the food department. 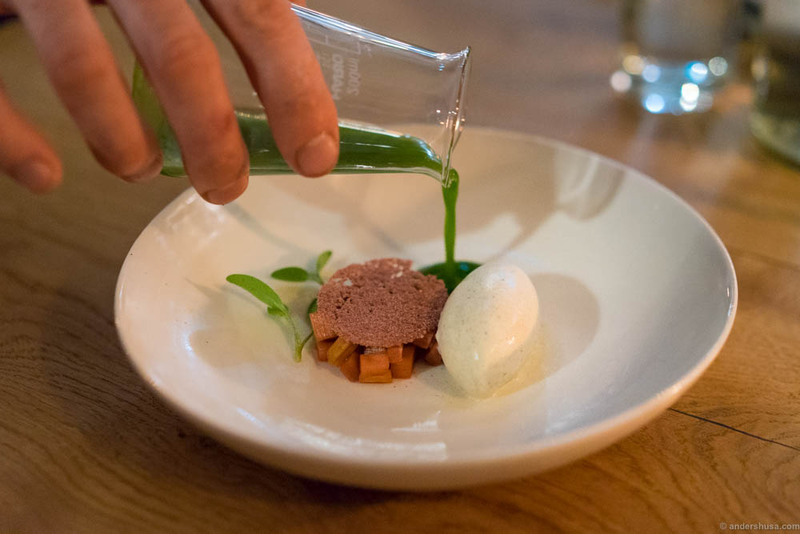 At Spontan, which has lent its name from the spontaneous fermentation process, the young Austrian chef is more free to advance his new Nordic cooking style in a less formal environment. 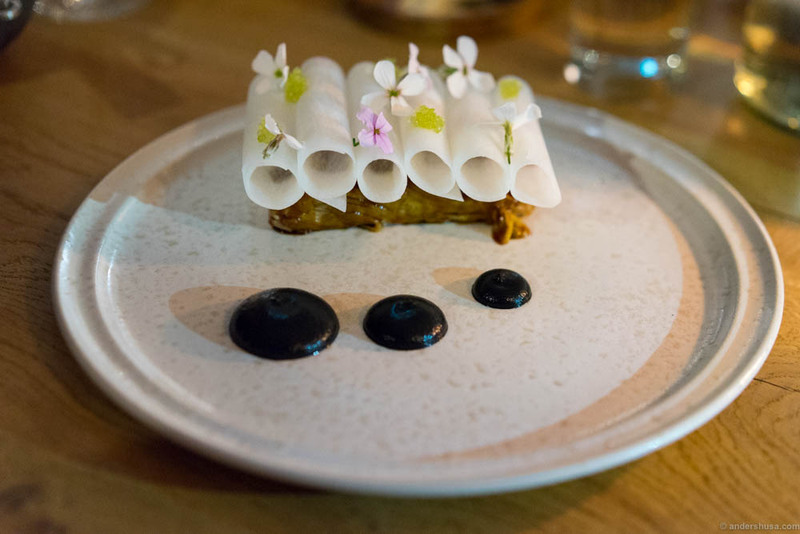 Gadient’s experimental dishes this evening was influenced by the Asian cuisine and also included exciting ingredients like the finger lime – which I’ve only ever experienced before at Noma Australia. It was a symphony of hits and misses, possibly a symtop of being relatively newly opened, with an extensive use of fermentation techniques. 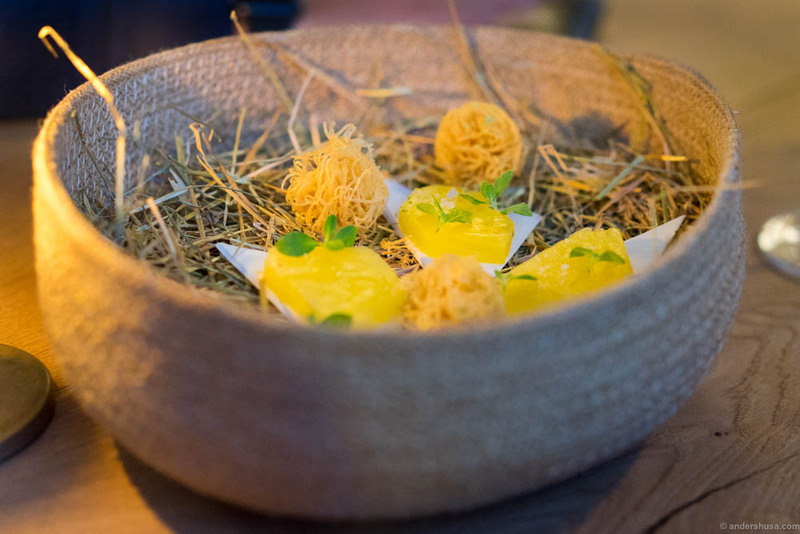 I loved the small snacks of cured pineapples with salt and yuzu, the smocked mackerel with ponzu, the confit egg with burnt onions and the final dessert of Polynesian vanilla ice cream and rhubarb. On the other hand, the dense and way too syrupy bread, the sticky and doughy gyoza and a predessert of horribly salty rhubarb granita were quite disappointing. A beautifully presented pork belly with small tubes of rolled daikon on top would have worked better if the latter weren’t so clumsy to eat. We left a bit confused. It was good and bad. Like a series of experiments that both failed and succeeded. It didn’t scare us off, though. We’ll be sure to return to Spontan once the head chef has fine tuned his laboratory. Just like spontaneous fermentation of beverages can go in different directions and needs to be controlled, a new restaurant concept needs work and fine tuning. 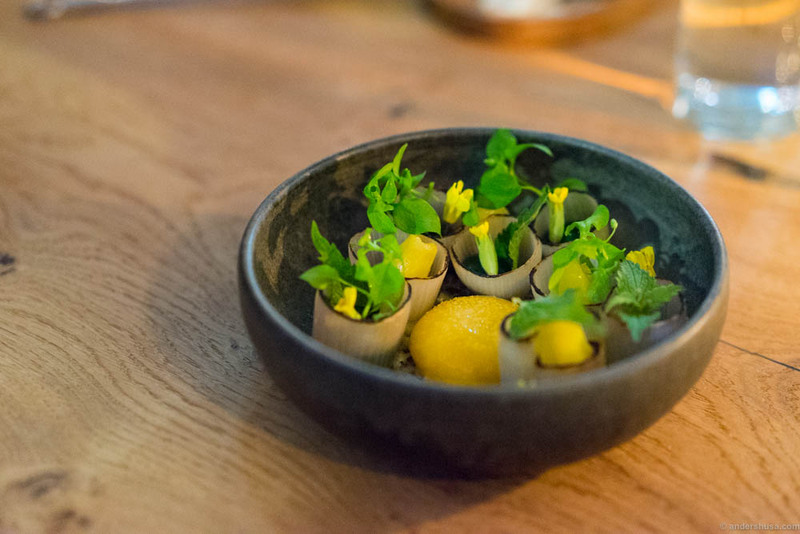 I saw the same happen to the 108 pop-up at Noma that later opened as one of the best new restaurants in Copenhagen. I believe Christian Gadient has a wonderful creativity that just needs time to settle. He proved his exceptional talent earlier this year when he was the only chef to be nominated in all three categories of the Årets Ret-award, and he won the “sweets and cheese”-dish with his Polynesian vanilla ice cream with citrus fruits. 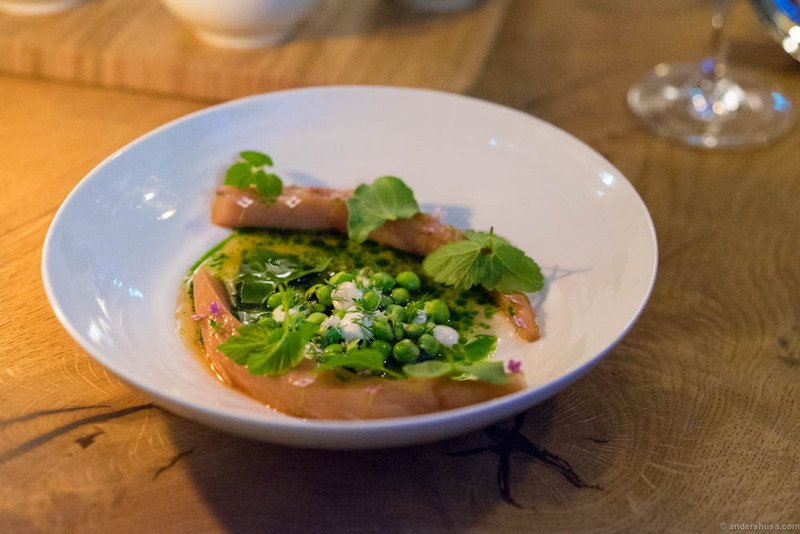 Have you been to Nørrebronx yet? Please share your experience in a comment below. Anders! Come back soon – we miss you! I will 🙂 Next time in CPH!